Shearline has been designed to meet the present and future needs of the Reinforcing Steel Fabrication Industry. Uncoiling wire is simple and trouble-free when using the Tilt-Up Decoiler. It eliminates the problems associated with wire twists and tangles. CRS Specialties Inc. is the North American Representative for MEP SpA. We have a combined total of over 50 years of valuable experience dedicated to the Rebar Industry. 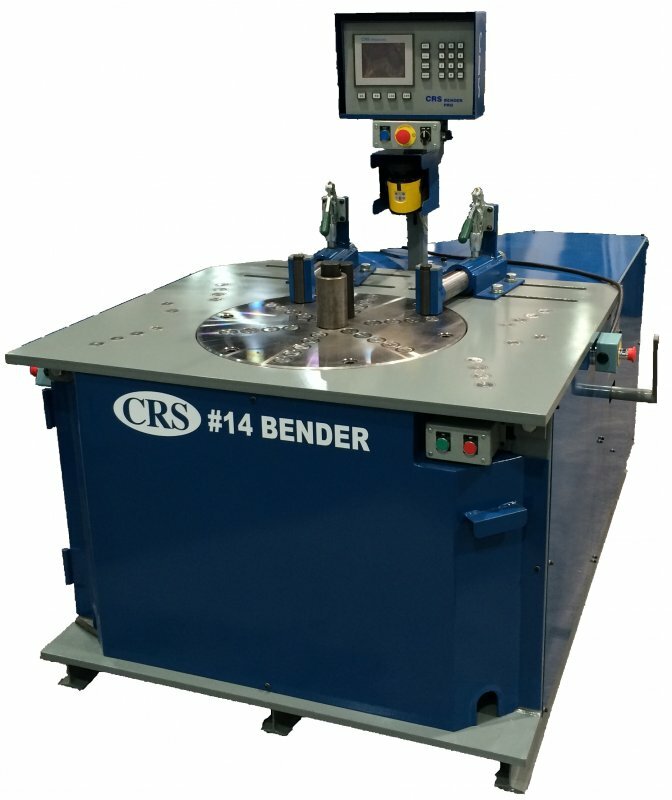 We design and manufacture complete rebar cutting, bending and material handling systems. Products range from Spiral, Radius & Ring Making Machines, Shearlines, Benders, Tilt Up Decoilers and Bar Spreaders. Our team of in-house professional technicians are available for installations, training and troubleshooting. CRS has the most comprehensive parts warehouse in the business with overnight delivery. With our in-house engineering and complete custom fabrication facilities, you can count on CRS to deliver on time and on budget. Our partner, Mep SpA of Italy, is synonymous with innovation, research and development, quality and longevity. They have developed and hold patents on its industry leading no–twist straightening technology. MEP’s newest "World System” controller (standard on the Format Series) allows us to troubleshoot your problems from our technical department. MEP’s innovative design and use of hydraulics provides power speed, quality and safety unlike anything on the market today.